Love to eat seasonally and locally? 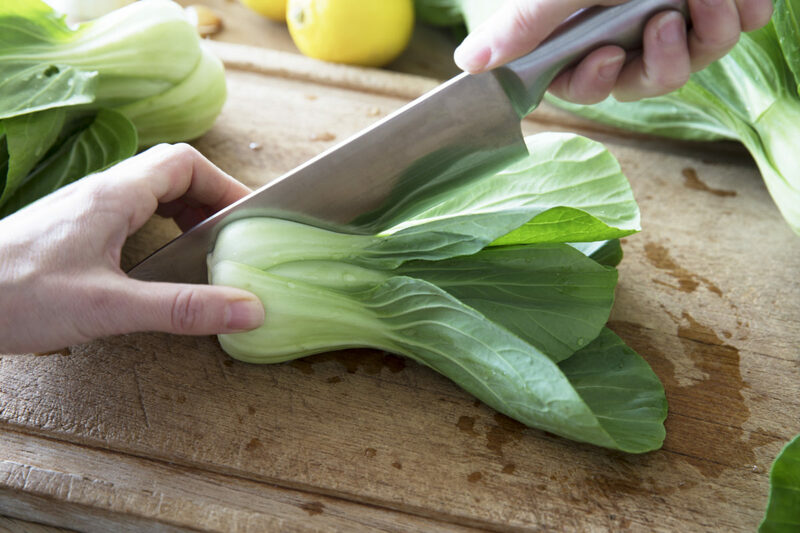 Then tempt your Spring palate with this delightful farm-fresh bok choy salad recipe from Brad’s! In a large pan, melt the butter and add sesame seeds, sugar, broken ramen noodles and almonds. Stir and brown slowly. Set aside to cool. Crumble when cool enough to handle. Combine bok choy and green onions. Stir the balsamic vinegar, sugar and soy sauce together in a small bowl; slowly stream in the olive oil while whisking continuously. Season with salt and pepper to taste. Just before serving, combine the ramen noodle mixture with salad greens and toss with dressing.